While the days of Samsung's S Voice has come to a complete and definite end now, Samsung has made a completely new Digital Assistant called Bixby, integrated and released with its Samsung Galaxy S8. The digital assistant is quite new right now. While it is integrated and works amazingly with Samsung apps, only a handful of third-party apps like Uber and YouTube support it right now. Truth be told, this AI, seems to have incredible potential, closely resembling and possibly surpassing Google Assistant's AI's learning prowess. Packed with innovative features, check out Samsung's new innovation in the field of Digital Assistants, in this post on Bixby: Samsung S8's Trump Card. Although the debut of Bixby, was rumored from a long time, with its purchase of Viv, an artificial intelligence setup, which played an important part in the initial days of development of Apple's Siri, things became a lot "clearer". What is the Bixby Exactly? Bixby is a touch and voice activated Digital Assistant in the Samsung Galaxy S8, (also can be downloaded in some other Samsung phones using Nougat) integrated with Samsung applications in the Galaxy S8 like Samsung Pay, Samsung Browser and Samsung's Personal Information Manager (PIM) software. You can summon Bixby by pressing a specific physical button, located just below the volume control. You can press the button anytime, including when you are using an app to summon Bixby to help you or use the wake phrase "Bixby". Once activated, it is both voice and touch controlled. According to Samsung, Bixby is a multi-nodal intelligence service, which in simpler terms mean that it applies foresight by completing its actions based on the app you are using (more on that in the later section). Partly developed by Viv, it also offers third party app developers to tap into Viv's capacities quite easily and gives natural language based interfaces in apps and services such as custom commands so that third-party app support for Bixby arrives fast. There is a lot of quite amazing things that Bixby can do as well as quite a lot that it can't, for now at least. For example, if you ask it the date of birth of a celebrity, chances are it can't tell you. The thing is as with all digital assistants, they use machine learning; that is the more you use it, the better they get. So, it will take Bixby some time to be on par with its competitors like Siri and Google. How much time? That is impossible to say, considering S8 is available only for pre-order now. Also, the Samsung Galaxy S8 also has Google Assistant so you can switch between the two assistants, until Bixby gets better. 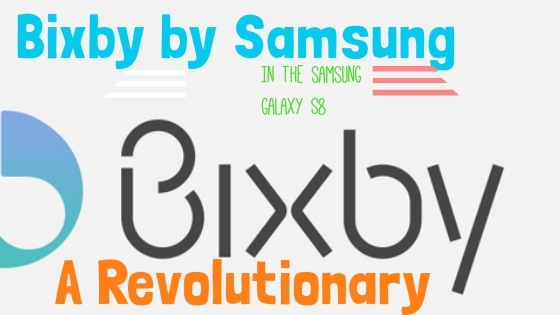 As per Kate Beaumont, director of commercial strategy, product and planning at Samsung, Bixby, right now, is just the first stage and that that it will be in constant development. She also said that they would be building on integrating Bixby with third party apps throughout the year. She shared her plan to release a tool in SDK so that third party app developers can provide their apps with support for Bixby. Bixby is quite advanced and you can use it to search for pictures or videos according to your preference just like in Google Photos or by Google Assistant. Bixby now also answer your queries based on the context, a feature that is not present in its competitors. An example is that suppose you are working on Google Maps, and wish to send your location or some other location information to some contact. Just ask Bixby to "send this to a contact" and Bixby will understand you are talking about sending the location in the map to the selected contact. Also, with Bixby vision, integrated with the Samsung camera, you can use Bixby to scan a location, place, or spot in a picture. You can also use it to scan objects like bottles, phones, laptops, cars etc. It can also read QR and bar codes with ease. Samsung also is trying to create an open AI platform with its Bixby. For example according to Samsung Electronics Vice-President Rhee In-Jong while Galaxy smartphone users need separate apps to do separate tasks like ordering a Pizza or calling for an Uber, Bixby enables you to perform all these tasks just by voice commands without having to move through the apps. Anyways, what really enthralls me is of Bixby's superior intelligence. It can scan, understand objects that you show it through Bixby vision, show you similar images or provide you link to buy it at the best price online. When you show it a place, say a restaurant, it actually understands and shows you how to book seats online whilst simultaneously providing reviews of the place too. If you have a definite cuisine preference or like to visit a certain chain of restaurant, Bixby will remember that and suggest you restaurants serving similar cuisine or of that chain near you if you go to someplace else. Also, if you call someone regularly at a specific time, Bixby will remind you to call that person at that time if you don't or forget to. 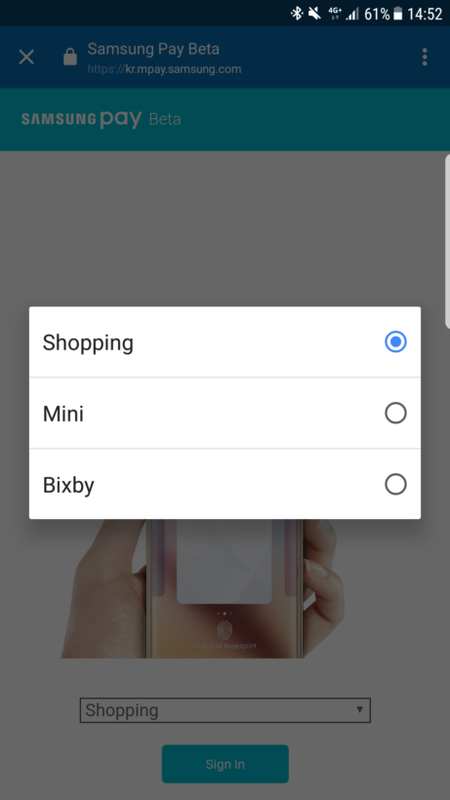 Also, if you have set a reminder to Bixby, to remind you to buy some grocery or maybe some computer peripheral, it will use your GPS and when you are near or passing by the shop, it will remind you. While Google Assistant, can also change your phone settings, since Bixby is made by Samsung, it can control your phone settings and controls at a greater depth. You can use Bixby to turn your cellular hotspot on or to notch the brightness up; the latter can also be performed by Google Assistant. You can also use it to create folders for your photos or videos. No other assistant has this feature as they don't get to meddle this far with the phone settings. It can also translate text - be it some document, or text in front of your phone camera. The secret to Bixby's amazing AI is the system actually writes it's own code. In contrast to any other similar system, It is a profound and monumental giant leap forward. Bixby uses a patented exponential self learning system as opposed to the linear programmed systems currently used by systems like Siri, Echo and Cortana. What this means is that the technology in use by Bixby is orders of magnitude more powerful because Bixby's operational software requires just a few lines of seed code to establish the domain, ontology and taxonomy to operate on a word or phrase. In the old paradigm each task or skill in Siri, Echo and Cortana needed to be hard coded by the developer and siloed in to itself, with little connection to the entire custom lexicon of domains custom programmed. This means that these systems are limited to how fast and how large they can scale. Ultimately each silo can contact though related ontologies and taxonomies but it is highly inefficient. At some point the lexicon of words and phrases will become a very large task to maintain and update. Bixby solves this rather large problem with simplicity for both the system and the developer. Specimen of the developer console identifying domain intent programming. Bixby's team calls this new paradigm the "Dynamically evolving cognitive architecture system". There is limited public information on the system and I can not address any private information I may have access to. However the patent, "Dynamically evolving cognitive architecture system based on third-party developers" published on December 24th, 2014 offers an incredible insight on the future. This Bixby patent is a landmark advance for Intelligent Agents and the resulting Voice First devices and uses case that will be developed on the platform. The process for adding new domain experience is a simple process in the developer app. To define a new intent, the domain is established by programming a horizontal flow chart that helps to define ontology and taxonomy with in the entire system. The results are lines of code that will forever be dynamically changing and connecting as more domains of intent are established. Bixby literally programs itself. This is process is related to self modifying code that has been around since the 1960s from assembly language to Cobol. However the process that Bixby uses is radically more advanced. The limitations we have all come to know with Siri, Echo and Cortana and the Chat Bots released with Facebook M are tied to the limitations of extending new intent domains and connecting new ontologies and taxonomies. Not only does each intent domain need to be programmed, from decoding a word or phrase, but these silos of intents need to some how connect when more complex sentences are created. "(Siri/Alexa) I want to pick up a Pizza on the way to my girl friend's house and I would like to find a perfect wine to pick up along the way. Also would like to bring her flowers." Siri and Alexa can not understand the intent of this paragraph, nor can it connect to the six domains and many ontologies to produce a useful result. Bixby could learn this in a few minutes and constantly connect with new intent domains by expanding the ontological references each domain represents. Vivs Labs CEO Dag Kittlaus also said that the Bixby Digital Assistant wont just be limited to your phone but will work with most Samsung home appliances that you use. For example you can ask your refrigerator to turn the AC temperature down! Basically Bixby can make your Samsung home appliances a potential remote control for other Samsung home appliances. How does Bixby fare against the other AI? Is Samsung's Bixby better than Apple's Siri or Google Assistant? How good is its voice recognition. So far, by the information on Bixby, it seems that the AI will be pretty decent but by how much and whether it will be sufficient to sidetrack Google Now/Google Assistant for Bixby remains a mystery. Point to be noted is that the "connected technology" which Samsung aims to provide with its Bixby in the Galaxy S8 is already out. You can do all that using Siri with the Home App, though the integration of Apple with other home appliances isn't quite strong. Even Google Now provides a better home ecosystem connection with your Google Assistant. This will become a major plus point for Samsung when implemented. Samsung, being one of the biggest sellers for home appliances have the most potential to make Bixby, the best Digital Assistant there is. Samsung Galaxy S7 users, who are trying out the final Nougat Beta have already got a completely different UI by Samsung called Samsung Experience. TouchWiz had previously been riddled with bloatware that earned TouchWiz its bad name. However those with Nougat in the S7 can actually use Bixby! Yes! That's right. You don't have to wait for Bixby's release with the Galaxy S8.